To the uninitiated, Soylent is an eerie reminder of the 1972 Sci-Fi classic Soylent Green – a film about a dystopian future in which much of the population subsists on processed food rations revealed to be made out of people. Today, depending on whom you ask, Soylent is a food product, lifestyle, or the end of food as we know it. What started as a Kickstarter campaign aimed at those looking to cut down on meal prep time has turned into an internet phenomenon with wide appeal and plenty of detractors. Though human beings are not an ingredient in the latest formulation (Soylent 2.0), the internet has largely ganged up on Soylent for several reasons. I’m going to tell you about my Soylent experience and attempt to address some common concerns about the product. Soylent is a nutritionally complete food product that comes in a powder that you mix (version 1.5) and a premixed bottle that’s ready to drink (version 2.0). I’ll focus on the bottled version. The 2.0 gets most of its nutrients from soy protein isolate, algal oil, and isomaltulose. Soy protein isolate is safe and has a robust amino acid profile. Algal oil is efficiently made in bioreactors and provides fatty acids. Isomaltulose is a slow-metabolizing sugar synthesized from beets. These and other ingredients are blended together resulting in a 400 calorie beverage with 20% of your recommended daily intake of calories and most nutrients. It’s a bit high in fat, with each bottle representing 33% DV, but only 2g out of 21g are saturated fats. The rest are poly/monounsaturated fats. For those with allergies or food restrictions, Soylent 2.0 is vegan, free of lactose, and nut free. While I cannot speak on previous versions, the bottled version is actually very drinkable. It tastes a bit like cheerios in half-and-half. The texture is uniform and it’s not particularly thick, making for easy sipping (or chugging). Flavor notes include cream, oats, and perhaps a false sense of superiority. It’s not exciting, but it is oddly satisfying. After crushing a bottle or two in the morning you won’t be counting down the minutes until lunch. Though you won’t feel full the same way you would after a mountain of solid food, you’ll be satiated and energized. And as someone who tends to overeat, it’s liberating to only be as full as I should be. Soylent isn’t intended to replace every meal. It’s great as a post workout recovery shake, snack, or single meal replacement. People who are living off the stuff exclusively will probably experience the social consequences of not joining friends and family at mealtime, but nobody is advocating for complete replacement. If your diet consists of kale chips and quinoa salad you’re doing better than most Americans. When I’m in a rush or on a tight budget the food I tend to grab is far less healthy and nutritionally complete. That may be true of previous versions, but Soylent 2.0 is so not disgusting that I had to keep a close eye on my roommates to make sure they weren’t snagging any bottles. They managed to snag a few when the fridge was unmanned, but I can’t blame them. All I’m saying is try this version before you knock it. 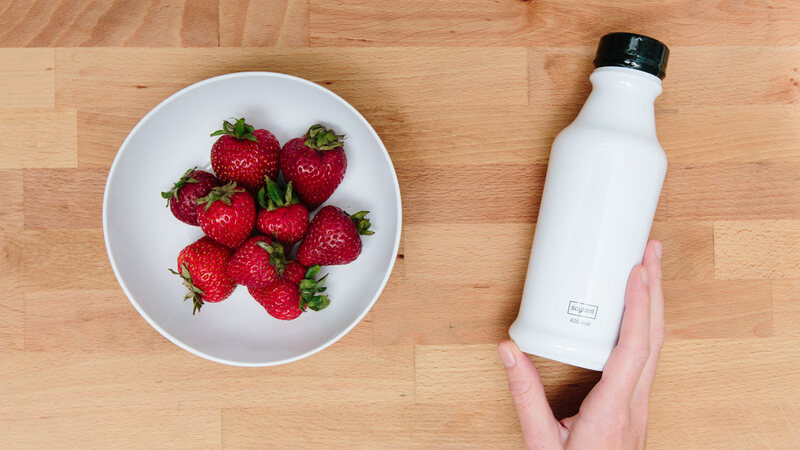 Soylent 2.0 comes in a recyclable bottle. The algal oil in Soylent is a model for sustainable food of the future. The oil is made in bioreactors that are extremely efficient. Some day we may feed the whole planet with a derivative of algae. Anyone who doesn’t eat breakfast: Toss back one of these to start your day and you’ll thank me. People recovering from surgery for wisdom teeth removal: I lived on the stuff for two weeks without reaching for the ice cream in the freezer. That’s right, Soylent over ice cream. Athletes looking to increase their protein and calorie intake. Junk food junkies: Replace a McDouble with a bottle of Soylent; substitute a Big Mac with two bottles. Everyone else: When time is not on your side, Soylent is cheap, satisfying, and goes anywhere you go. It’s no miracle product but it gets the job done.